Many cancers recur at a later date despite an initial favorable response to radio- or chemotherapy. In some cases, recurrence can occur even after 10 years following the treatment. Cancer stem cells could explain this phenomenon. While cancer stem cells may make up only a small fraction of the cancer tissue, these cells are able to self-renew and give rise to the different cell types that compose the cancer tissue. Compared to the non-cancer stem cells, cancer stem cells are more resistant to therapeutic interventions, leading to their survival after treatment and to give rise to recurrence at a later date (A). 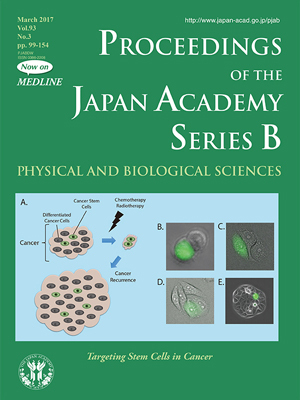 Here in the front cover photographs, Dr. Mori has labelled the cancer stem cells fluorescent green, through transfection of the cells with a fusion protein made up of a green fluorescent protein and a C-terminal degron of the ornithine decarboxylase that is normally destroyed by proteasomes. Because cancer stem cells have low proteasome activity, they retain the fusion protein. However, the fusion protein is degraded in the non-cancer stem cells. When undergoing cell division, cancer stem cells can produce a fluorescent cancer stem cell and a non-fluorescent daughter cell (B). The daughter cell then continues to divide multiple times (C and D), to give rise to the bulk of the cancer cell population (E). However, the cancer stem cell is capable of renewing the entire cell population of the cancer. Therefore, the targeting of cancer stem cells for treatment holds promise for the complete and long-lasting eradication of cancer. 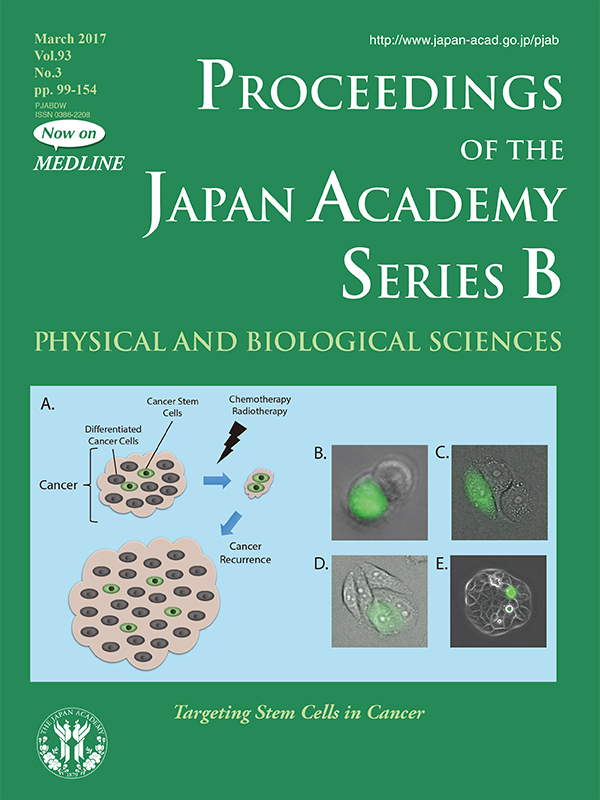 In pages 146-154 of this issue, Dr. Mori explains the strategies he has developed to target cancer stem cells.